Service providers around the world share concerns about running out of bandwidth. 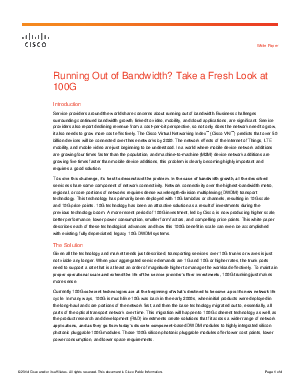 Business challenges surrounding continued bandwidth growth, linked to video, mobility, and cloud applications, are significant. Service providers also report declining revenue from a cost-per-bit perspective, so not only does the network need to grow, it also needs to grow more cost effectively.